Altus at The Quarter is a new luxury townhouse community from the one-and-only Pulte Homes. Conveniently located at Marietta Blvd. 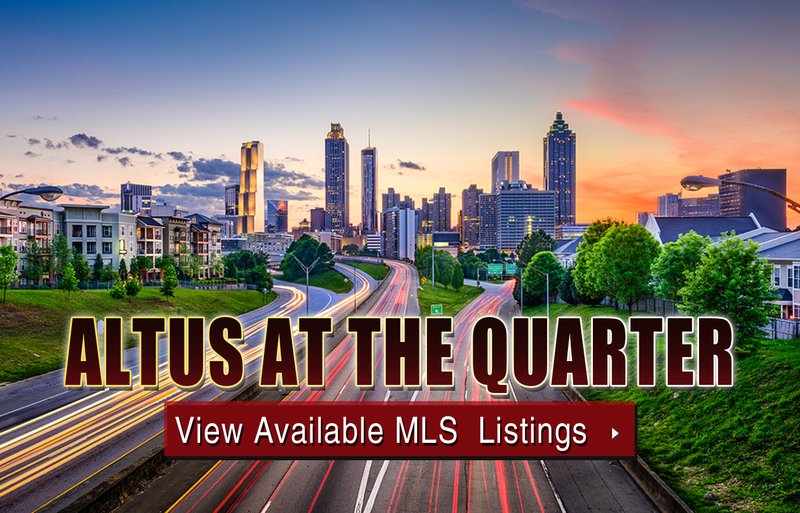 NW and Bolton Drive NW, Altus at the Quarter townhomes for sale are positioned right on the other side of I-75 from the red hot Buckhead neighborhood, and only just a few minutes from downtown Atlanta. Altus at The Quarter features four luxurious designs that include anywhere from two to four bedrooms, 2.5 to 3.5 bathrooms, and between 2,090 to 2,349 square feet of total living space. Along with plenty of living area, townhomes for sale at Altus at The Quarter also offer three levels and an attached two-car garage, not to mention large outdoor terraces that are perfect for indoor/outdoor entertaining. The Altus at The Quarter community is also dubbed Atlanta’s first “smart neighborhood,” which means each townhouse will include all the latest energy technologies as well.